**** Chosen by Winner: Nick W.
The Kizer Shoal offers a stunning Kim Ning design, featuring CNC milled titanium handle scales and a stonewashed blade made from M390 steel. Kim Ning has scaled down his popular Shoal design, to provide a compact everyday companion. 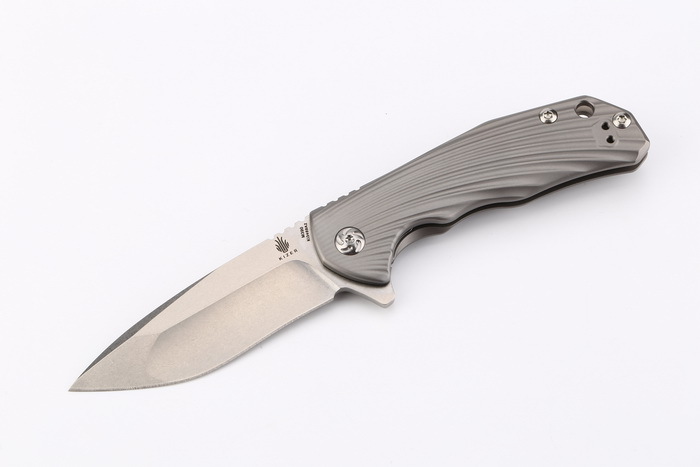 It comes equipped with a reversible titanium pocket clip and the smooth bearing pivots that Kizer knives are known for. The Kizer Shoal provides a comfortable, ergonomic design that is the perfect size for EDC use.